The new space for Terrain in the former Washington Cracker Co. building. Five days before the event, it's still a little hard to picture quite how the pleasantly musty, 100-year-old warehouse in downtown Spokane will look and sound when filled with hundreds of arts supporters turning out for the Visual Arts Tour this Friday, Oct. 3. On the Sunday afternoon before Terrain's seventh inception, volunteers and event organizers are bustling around, carefully affixing art to the whitewashed brick walls and debating which nooks and crannies of the brick-walled factory in which to stage the evening's live music, theater, poetry and performance art pieces. The dilemma is whether to host poetry readings in a small, dark room in the back of the building; there's concern that passing trains, less than 10 yards from the outer wall, may drown out the spoken words. With its grassroots origins going back to 2008, the annual, one-night juried art and music showcase that is Terrain has grown in every aspect each year since. This year is no different, with the group receiving the most submissions ever — more than 1,000. Five jurors whittled that number down to 255 pieces by 142 artists, the majority from the Inland Northwest. After taking place for the past five years in the vacant former Music City Building on West First, this year Terrain moves on to a much larger historic building on the opposite side of downtown. 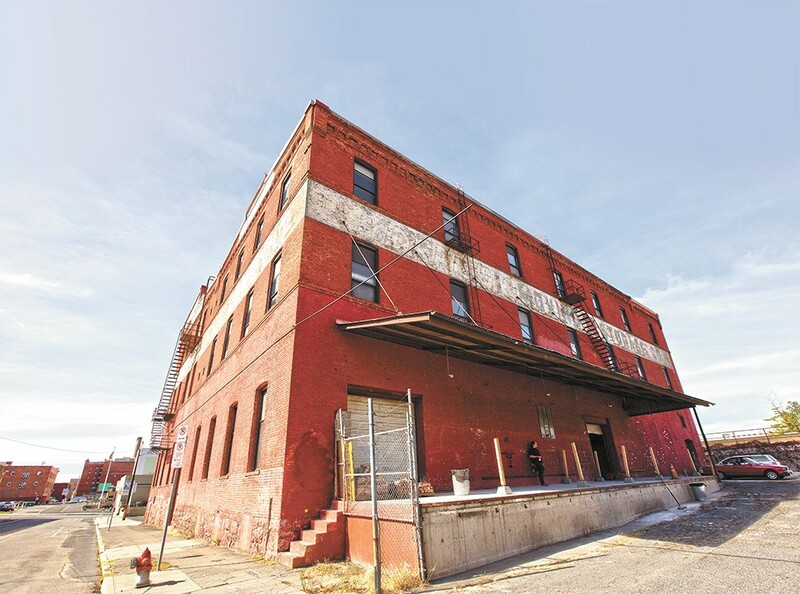 Originally constructed in 1891 to house the Washington Cracker Co. factory, the building has mostly been unoccupied for the past decade. Its long history and recent disuse are apparent, from deep scratches in the original hardwood floors to peeling paint hanging from the high ceilings like stalactites. Those familiar with the downtown Spokane skyline should know its brick facade by the "Home of SnowFlake Saltines" slogan painted on a trapezoid-shaped outer wall overlooking the downtown railroad viaduct. About a month ago, Terrain founders announced the event's move there along with an ambitious vision, the Campaign for Terrain, to transform part of the building into a year-round, permanent arts and performance venue. The goal is to secure $160,000 through a combination of online crowdfunding, grant writing and private donations to improve and build out a visual arts gallery and performance space. "We're doing all we can to help people visualize what it can look like because [the space] is so raw right now," says Terrain cofounder Ginger Ewing. She adds that although the one-night showcase takes up the majority of two floors, the permanent space will be smaller and contained on the first floor. Compared to Terrain's former site, the warehouse provides at least one-and-a-half times as much floor space, with the event covering an estimated 15,000 square feet on two floors. With fire sprinklers already in place and multiple emergency exits, organizers are certain they'll be able to have more occupants than the previous venue allowed. In past years, the free event attracted so many people, a line to enter would snake down and around the block. Supporters of past Terrain showcases also will notice a larger bar with an outdoor patio, set up on a loading dock overlooking a parking lot that will host several local food trucks.